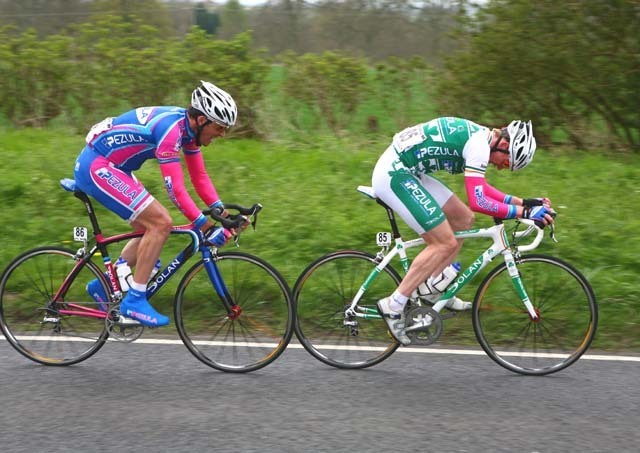 Ciaran Power (Pezula) of Ireland won today’s East Midlands International CiCLE Classic (Sunday, April 27). Power’s Pezula team dominated the race from the very beginning by placing four men in the first significant break of the race – Power, David O’Loughlin, Cameron Jennings and Kieran Page. The decisive break formed when Jennings and Dutchman Jan Bos (Ruiter De Kappellen) broke free from the main bunch at the 5km mark. They were then joined by eight other riders, including Jennings’ trio of team-mates. 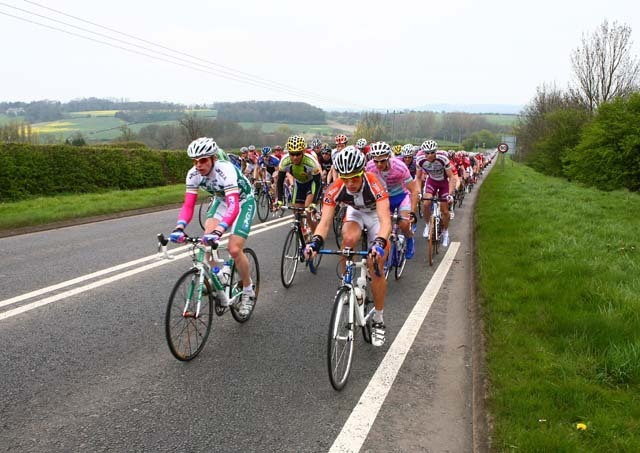 The 10-man break quickly found momentum as progress of the bunch was slowed by the rough stuff sectors which have given his race its reputation of being Britain’s answer to Paris-Roubaix and the Tour of Flanders. The rough sectors also saw several riders shelled out from the break, whittling it down to just Power, O’Loughlin and Bos (not the brother of Dutch sprinter Theo, who is also called Jan Bos) when the leaders hit the fourth from last rough sector with 35km to go. At this point the escapees had one minute 40 seconds over the chasing bunch of around 35 riders, a lead which didn’t diminish as the race progressed. With 3km to go, it was Bos who put in a move for the line but was caught and passed by Power. 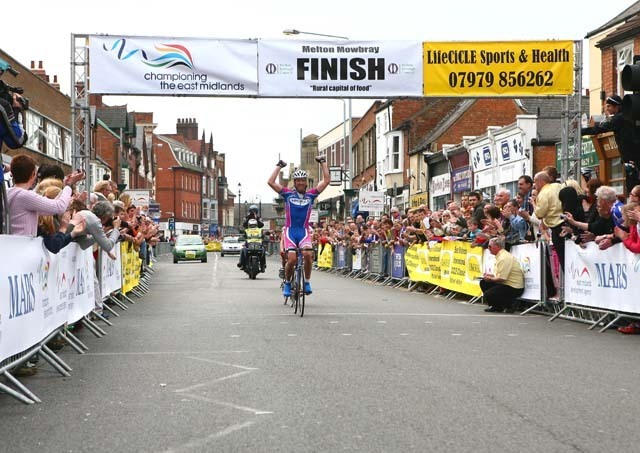 By this point, O’Loughlin had been caught by the main group and last year’s winner Malcolm Elliott (Pinarello RT) took the sprint for third spot ahead of Dean Downing (Rapha-Condor-Recycling). Although he was fourth over the line, Dean Downing was disqualified from the event for taking an illegal tow from team vehicles. “When Bos attacked, I marked him and then closed him down and went past him. We were going well at the Shay Elliott last week, but as a team we were really on it today, ” Power said of his Pezula team-mates. 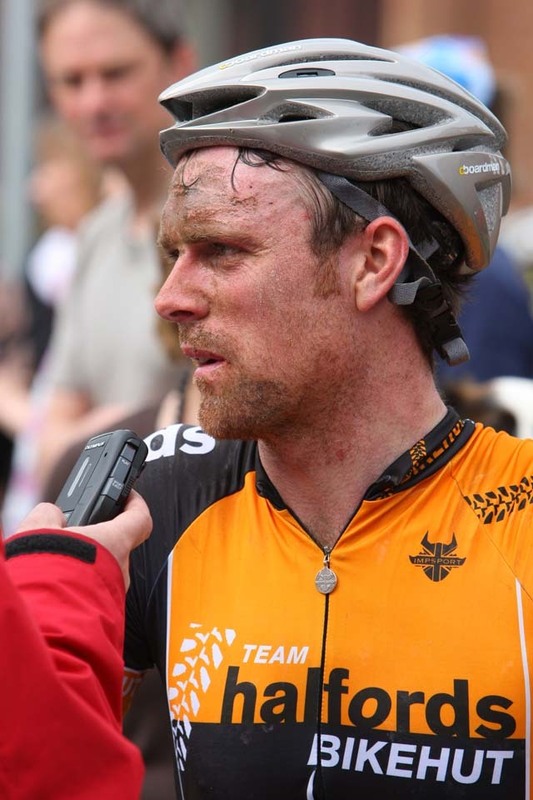 The race started in Oakham and then embarked on 157km (98 miles) punctuated by 11 ‘off road’ sectors before finishing in Melton Mowbray, Leicestershire. Heavy rain had been forecast prior to the race, but the expected downpour failed to materialise and crowds packed the edges of the rough sectors in the spring sunshine. Dean Downing was disqualified from his fourth position for taking an illegal tow from team vehicles. 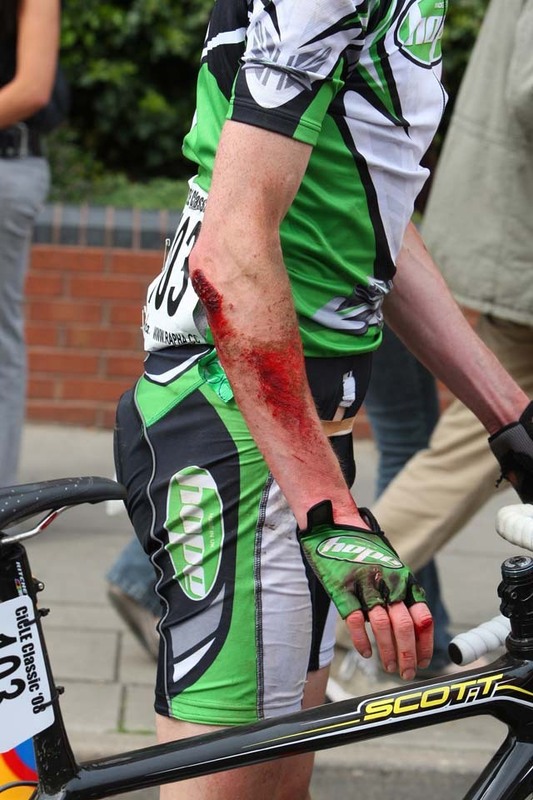 The alleged incident happened after Downing first crashed, and then suffered a puncture. 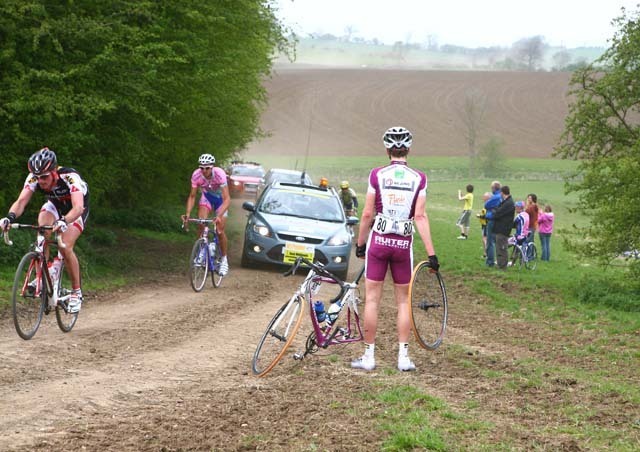 He then got stuck in among the team vehicles along the narrow roads, and had to work his way back to the bunch. 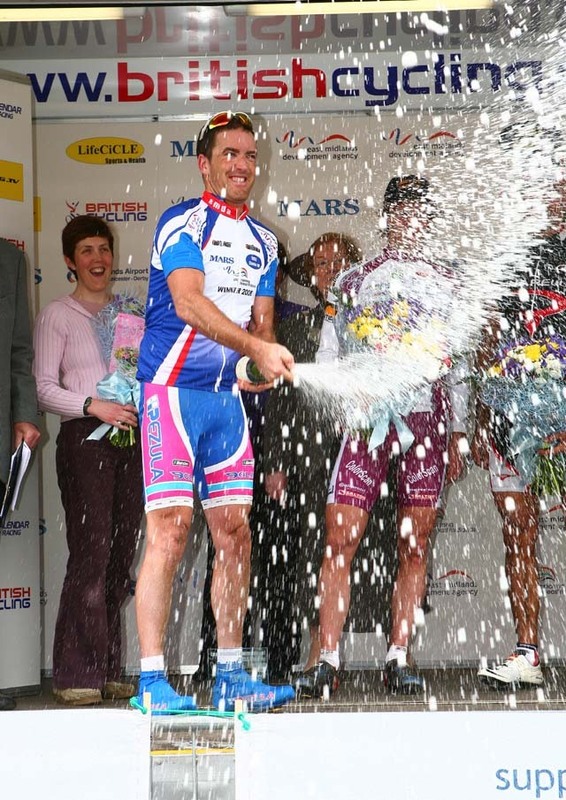 “I crashed early, and then took a bottle from a car on a climb and got a warning as a result. I had to sit behind the car for 10-15 kilometres because the road was too narrow to pass,” said Downing. But the officials deemed that Downing had crossed the boundary of what was acceptable. DQ – Dean Downing (Rapha-Condor-Recycling). Downing was fourth across the line but disqualified by the race jury for taking an illegal pace from team cars.